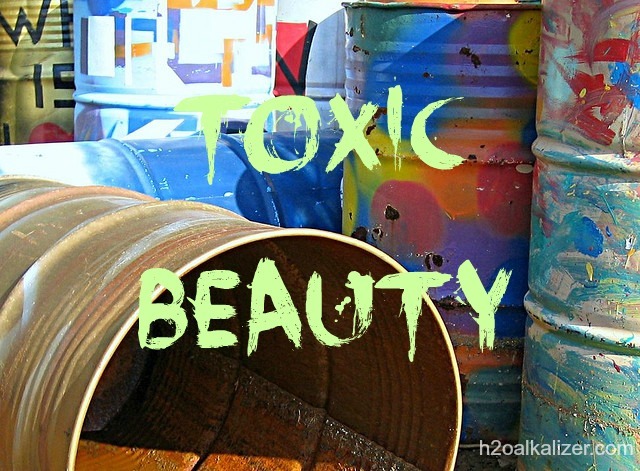 HomeWhat’s in your beauty products? Skin may seem like a waterproof membrane, but that doesn’t mean it is impermeable. Just because you are not ingesting or inhaling something doesn’t mean it is not finding a way into your bloodstream, your fat stores, and your organ tissue. Your skin is the largest organ in your body and it needs to breathe, sweat and release its natural oils to be healthy and protect your body from the outside world. Just take a look at the ingredients listed on your shampoo, body lotion, facial moisturizer, or sunblock. Unless you are a chemist, chances are you will not be able to decipher what it is that you’re putting on your body. With regular use over long periods of time, some of these cosmetic ingredients can do more harm than good. Organic formulations of all self-care products are becoming more popular, but you still must be wary. A product marketed as ‘organic’ may not necessarily be made totally of organic ingredients. If you see the word ‘natural’ be extra suspicious. What health administrations consider natural doesn’t mean the ingredients weren’t made in a lab. The main point is to be educated. Read the labels of your lotions, sunblocks, deodorants, make-up and soaps just like you do when shopping for food. If you are not sure about an ingredient, look it up. Visit this online toxin database to search by product or ingredient. You may be surprised to find out that some of the chemicals in your favorite beauty cream are also used in car wax and wall paint. Want to help detoxify your body? Stay hydrated. For pure alkaline water straight from your tap, try H2O Alkalizer’s water ioniser.